Willy Laury is internationally recognized for his outstanding skills as a dancer and a performer. 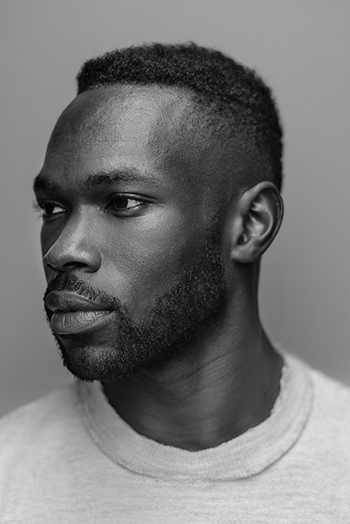 Willy has danced 7 years with the Alvin Ailey American Dance Theater, the world's largest contemporary dance company, including other major companies such as Ballet X , Morphoses and Michael Clark. More recently, Willy was a guest artist with Incidence Choreographic of the Opéra National de Paris. While dancing and creating alongside many artistic directors such as Franco Dragone, he created many solo productions including Vidal Sassoon in London, Medley Academy in Paris, The Public Theater in NYC, and Danone Nation's Cup 2018 for their opening and closing ceremonies. His passion for performance led him to discover the theater alongside Matthew Corzine in NYC with whom he did his acting training. This experience sparked a unique and creative perspective, mixing his personal heritage and passion for fashion with a multitude of cultures discovered during his career. Now film director, choreographer and performer, Willy is the artistic director of ACE Dance Concept. Through his work he speaks of hope, individuality without excuses, and the message of tolerance through cinematic movements as a universal language. Eriko is a vibrant lead contemporary artist working in New York City. Eriko began her dance training with her mother ,Yoshimi Iisaku. In 2006, she moved to the states to enhance her dance training, and studied at The Ailey School as a Fellowship student for 4 years, Jacob's Pillow Contemporary Tradition, and ADF (American Dance Festival). She quickly became a favorite among the new generation of contemporary choreographers. Eriko has since inspired and worked with creative forces such as Francesca Harper and Helen Picket (Frankfurt Ballet), Maleek Washington (Camille A. Brown, Kyle Abraham) and Willy Laury to name a few. Eriko has a passion for coaching and teaching. She is currently Francesca Harper Project’s official rehearsal director and also teaches movement for actors at NYU. Commercial work includes Danone Nations Cup World Finals, and Japanese music legend Eikichi Yazawa with performance and choreography. Łukasz Zięba, a native of Kraków, Poland, graduated from Cracow Dance Academy. He was the winner of the Dance World Cup in Villach, Austria in 2012 and shortly after moved to New York City to study at The Ailey School on a full scholarship. Łukasz danced with The Metropolitan Opera, Emery Lecrone Dance and later in 2015 joined Aspen Santa Fe Ballet. He is currently based in New York City working as a freelance artist, most recently with Company XIV, Lar Lubovitch Dance Company and LED Boise. Łukasz performs, teaches and creates dance, and in the meantime explores topics of human consciousness, spirituality and philosophy. Throughout his career he has also been expressing his creative talent in the field of choreography, i.e. creating on Poland’s 'So You Think You Can Dance’ in 2015, as well as presenting work at various festivals in the US, Poland and Hong Kong. In June 2018 Łukasz was part of the Hong Kong International Choreography Festival where he spend 5 weeks in residency creating a new original work with local artists. Łukasz loves to share his passion for movement and choreography appearing as a guest faculty at Joffrey Ballet School, The Portland Ballet and Kraków Choreographic Centre among others.